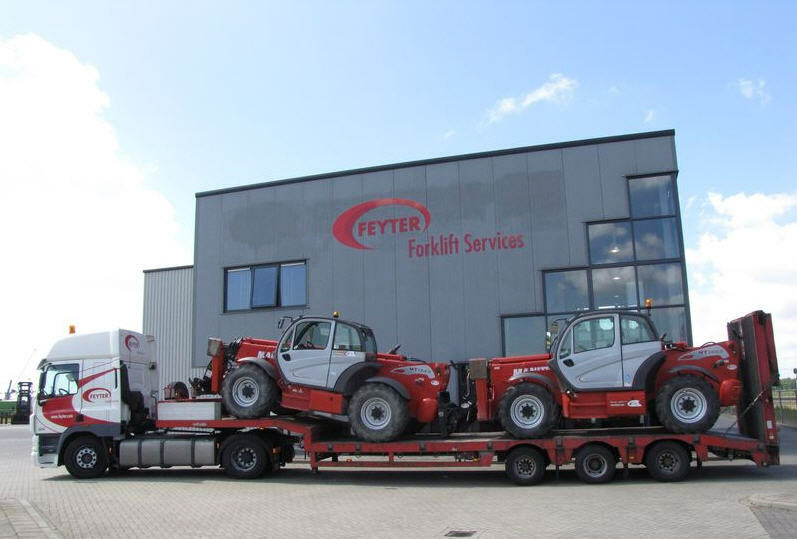 Feyter Forklift Services (located in Terneuzen) is specialised in sales, rental, service & inspections of internal transport. To improve the planning of their field services they recently decided to use Dime.Scheduler in conjuction with “Uw Rental & Services 2013” from “Uw Dynamics Partner” (UDP – Tilburg). This will not only lead to an optimized and simplified planning of field services but it will significantly improve the service to the customer. Feyter is currently implementing Microsoft Dynamics NAV2013 in combination with “Uw Rental & Services 2013” provided by “Uw Dynamics Partner” (Tilburg). With this solution all the business processes within the organization will be supported from one central solution. As planning of field services is subject to constant changes they chose to use a graphical plan board to anticipate faster to what happens in the field. For that reason Feyter chose for the Dime.Scheduler planning solution in consultation with “Uw Dynamics Partner”. Dime.Scheduler is an affordable solution which is in line with the requirements of the organization and linked to the “Rental & Services 2013” solution, it offers the flexibility and features a planning department is looking for. Dime.Scheduler gives you in one view all tasks to plan and the detailed information about open & planned tasks, availability of resources, geographical overview of planned or to plan tasks and optionally you can choose to track all your resources and assets on the geo-map. With a simple drag & drop, tasks can be planned for one or more resources at the same time, automatically updating all planning views of other planners without the use of any refresh or “OK” buttons. Also holidays, training, sickness and other reasons of absence can be monitored in the plan board. Finding the right resource is easy using the automatic resource filters based on the skills and qualifications needed for the task. We have the pleasure to announce that ESC Hardware & Software solutions has entered a partnership for Document Capture. ESC Hardware & Software Solutions is active on 4 locations in Belgium with more than 50 employees and offices in De Pinte, Brussels, Antwerp and Kortrijk. For their Document Management solution for Microsoft Dynamics NAV they selected Document Capture. We are pleased to announce that Nelly Bösch Computer has signed up as “Certified Reseller” for our Dime.Scheduler resource planning solution. Nelly Bösch Computer is a Swiss Microsoft Dynamics Partner located in Pfäffikon. Since more than 10 years Nelly Bösch Computer is offering Microsoft Dynamics NAV solutions for various branches (transportation, automotive, …). Nelly Bösch Computer integrates our Dime.Scheduler resource planning add-on in their vertical solution for the transportation industry to offer their existing and new customers a flexible and easy to use visual planning solution.